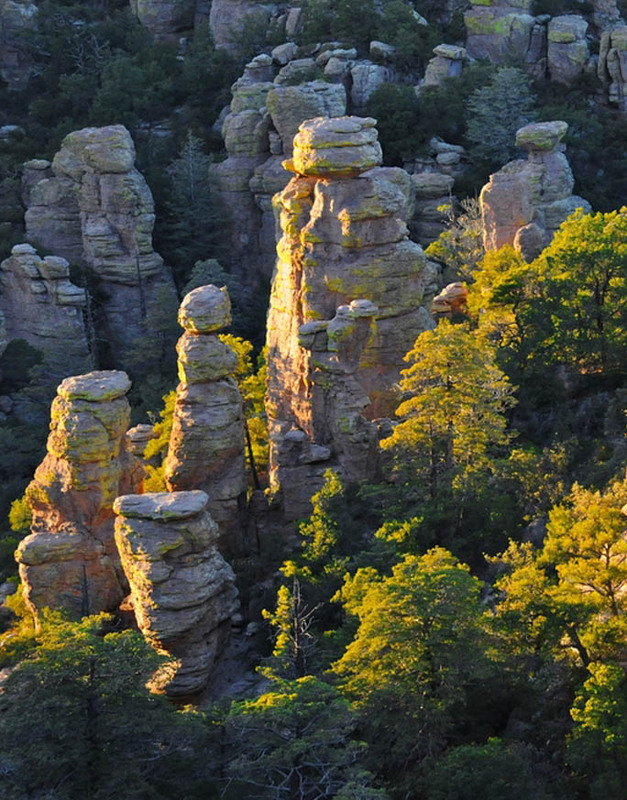 Accessibility Chiricahua National Monument is continually working to improve access so that everyone can experience this unique landscape. If you have special needs or particular questions, please contact a staff member at 520-824-3560. Visitor Center Open daily, the building and restrooms are fully accessible. A short captioned introductory film is shown on request. Camping at Bonita Canyon Campground Reserve an accessible campsite – site 8 – at Chiricahua’s only campground. Facilities include easy access to accessible rest rooms, picnic tables and fire rings. Learn more about Bonita Canyon Campground. Picnicking at Chiricahua Bonita Creek is an accessible picnic area with a hardened trail to a nearby accessible restroom. An accessible picnic table is available at the Massai Point picnic area near the parking lot. * Entrance fees are free with America the Beautiful Pass. Pass may be obtained in person at a federal recreation site or through the mail using the application form. The cost of obtaining an Access Pass through the mail is ten dollars ($10) for processing the application (the Pass is free). Applicants must provide documentation of permanent disability and residency or citizenship.